I always think that it is a skill in itself to make a slider or mini burger look like a proper full sized burger. 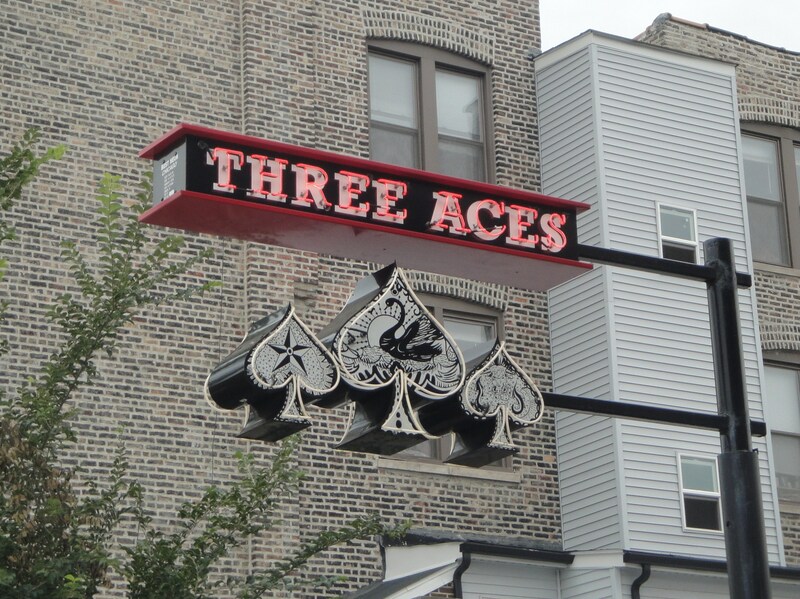 Three Aces succeeded in every way, even adding a few french fries to make it look like a proper plateful. 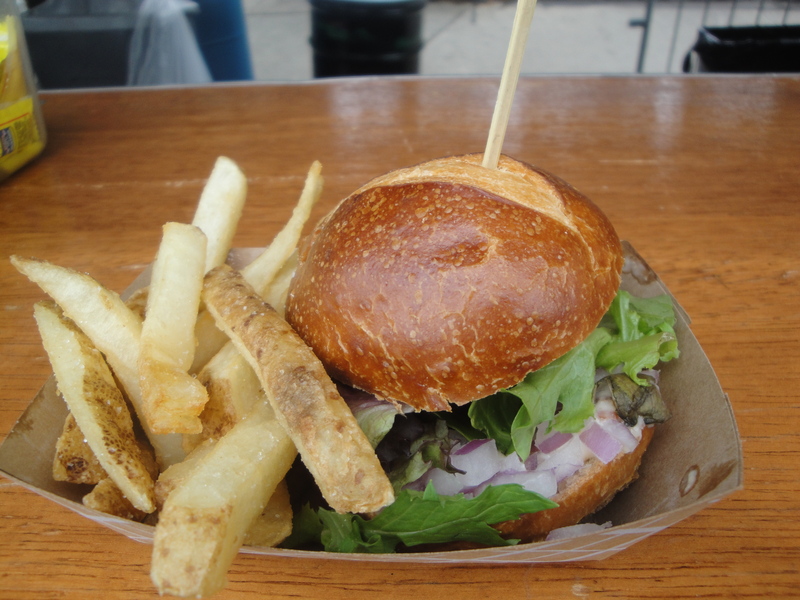 I really picked this option firstly for the bacon jam, and secondly for the pretzel bun, the cute girl serving it had no bearing what so ever on my wander across to their stall. This was really quite tasty I always love the pretzel bun for my burger bread hugger, and the addition of the bacon jam and aioli went well and made sure that this tiny burger was still moist. You know even the surprise fries were quite good too. 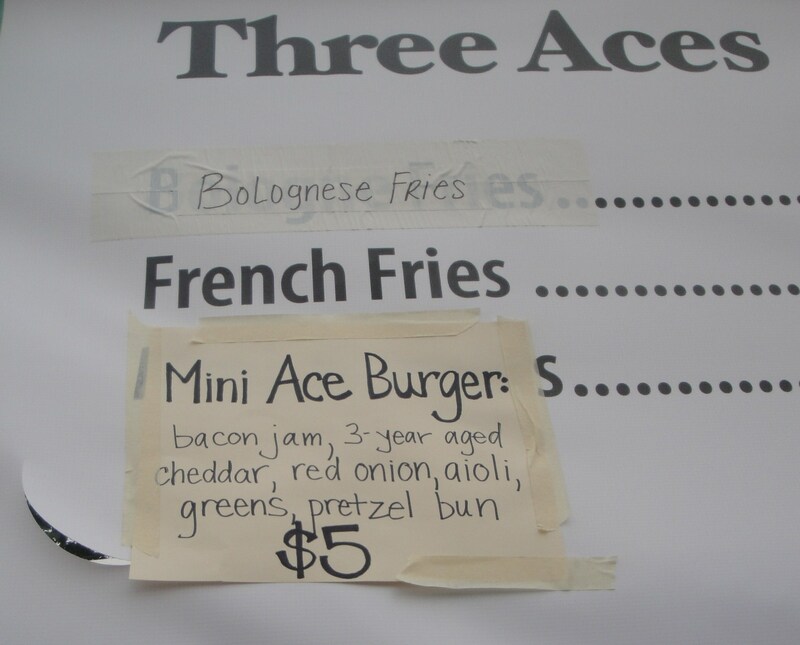 They sell a full sized Ace Burger on their menu at $13. Interesting to see if a larger version is worth 130% more.